(a) Using a moulding remover, disengage the 2 clips and 4 claws. 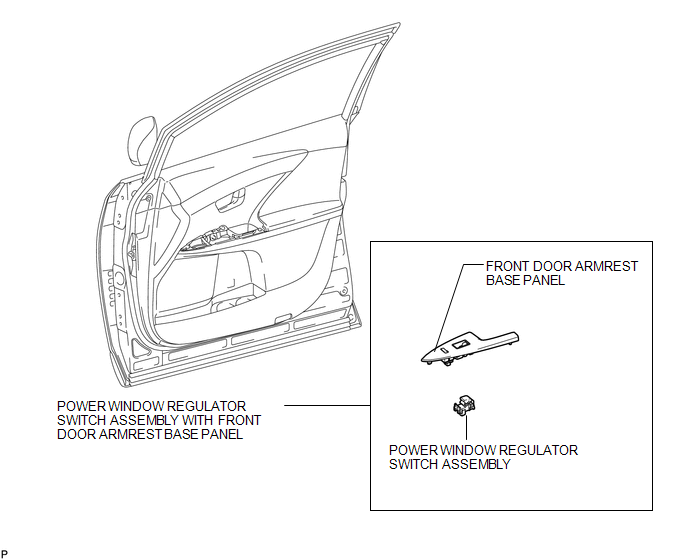 (b) Disconnect the connector and remove the power window regulator switch assembly with front door armrest base panel. 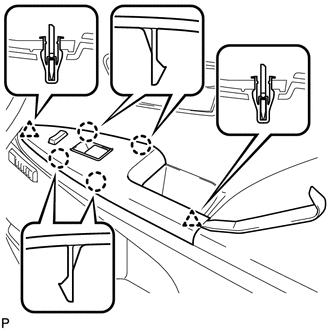 (a) Disengage the 2 claws and remove the power window regulator switch assembly. 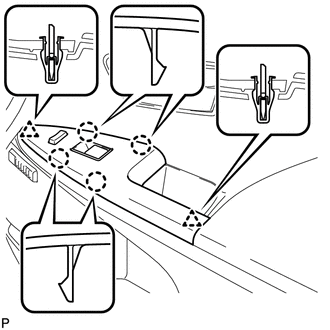 (a) Check the switch function. 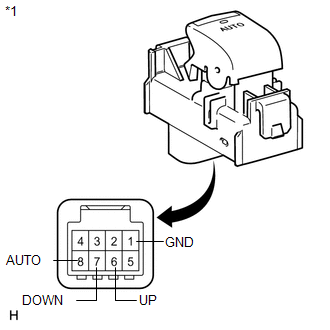 If the result is not as specified, replace the power window regulator switch assembly (for front passenger side). (b) Check that the LED illuminates. 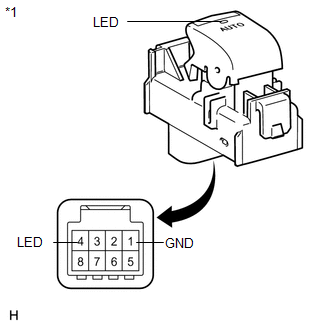 (1) Apply battery voltage to the power window regulator switch assembly and check that the LED illuminates. 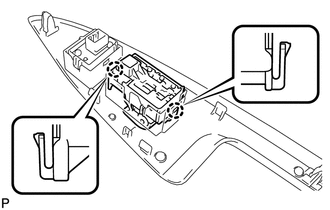 (a) Engage the 2 claws to install the power window regulator switch assembly. (b) Engage the 2 clips and 4 claws, and install the power window regulator switch assembly with front door armrest base panel.